From 6-10 February 2017 the bi-annual construction trade show ‘Bouwbeurs’ was held in the Jaarbeurs trade hall of Utrecht. A positive trend was the increasing visibility of solar products in the construction sector. Multiple companies presented their solar roof and solar façade concepts. 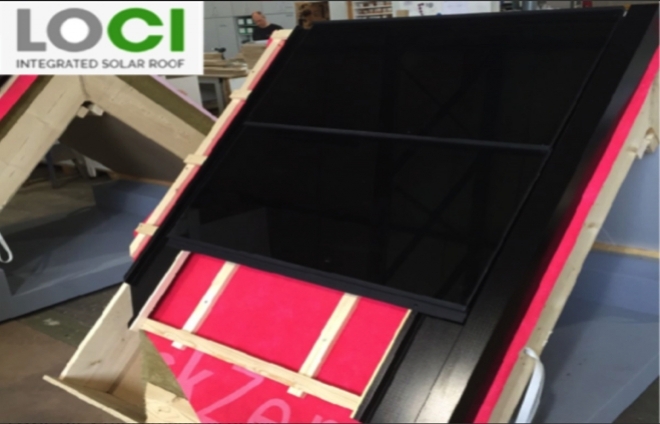 Our personal highlight of the trade show were two products developed in close collaboration with SEAC: The “LOCI” BIPV roof product of ReBor (previously Zonnepanelen Parkstad) and the “EMERGO 2.0” BIPV roof product of EMERGO. Both products are based on frameless solar panels applied on prefab roofs but deviate in their choice and design of mounting materials. Note that our recently published BIPV price survey confirmed that prefab BIPV is a strongly emerging concept with a large cost saving potential. How many of these products will we see on the next Bouwbeurs, held in 2019? Loci is a pattent product of Rebor B.V.